Male or Female Massage Therapists: What’s The Difference? Home » Blog » Male or Female Massage Therapists: What’s The Difference? Millions of people around the world have come to experience the countless benefits of massage. Whether to address injuries, relieve stress, relax muscles or simply offer some quiet time, massage has been shown to benefit a myriad of conditions, both psychological and physical. 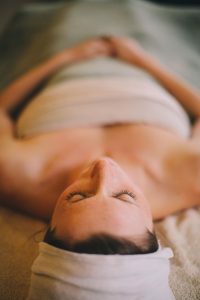 The benefits of massage are widely accepted, which is why there are so many different types of massage therapist to choose from. Which begs the question – which should you opt for, male or female? Physical body strength is an inarguable difference between the sexes. Men tend to be larger, and therefore possess more physical strength. So if you like a very firm massage, have many stubborn knots that need attention, or require deeper tissue stimulation, perhaps a man’s touch is necessary. Unfortunately, there is a lot of bias in the industry towards female massage therapists. Many women feel uncomfortable being in an intimate setting, such as a full body massage, with a male, for fear that their body is being judged. Because a massage is intended to relax a client and make him/her feel comfortable, any level of self-consciousness may interfere. Likewise, many heterosexual males state that they feel uneasy being massaged by another male because it has certain connotations around their sexuality. 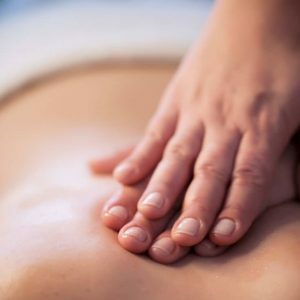 These are just two very general stereotypes surrounding massage therapy – however, they can influence many people’s preferences. In fact, the preference for female therapists is so strong that 86% of registered practitioners in the US are female. It is your experience, and your massage, so feel free to state your preference when booking a massage – whatever makes you feel most comfortable! Keep in mind that all massage therapists at Blys are trained to the utmost level of professionalism, so you needn’t worry about them “judging” your body or questioning your sexuality. At the end of the day, the gender of the person massaging you doesn’t matter as much as his or her level of experience. The reality is, as stated above, the majority of massage therapists in the industry are female. What this means is that the males who are in business have to be even better to survive! Some of them will have long tenure and wide experience under their belts – so give them a chance! So as long as you are comfortable that they have the required level of skill and training, asking how many years a person has been working is likely in the industry to give a much better indication of their massage skills than their gender. So, when booking your next massage, try to keep an open mind. While you may have preconceived notions of what is better, there are certainly benefits to being massaged by either a male or a female! Don’t delay in booking your appointment to get the treatment you need. Blys mobile massage has staff of both genders, and – best of all – they’ll come to you!